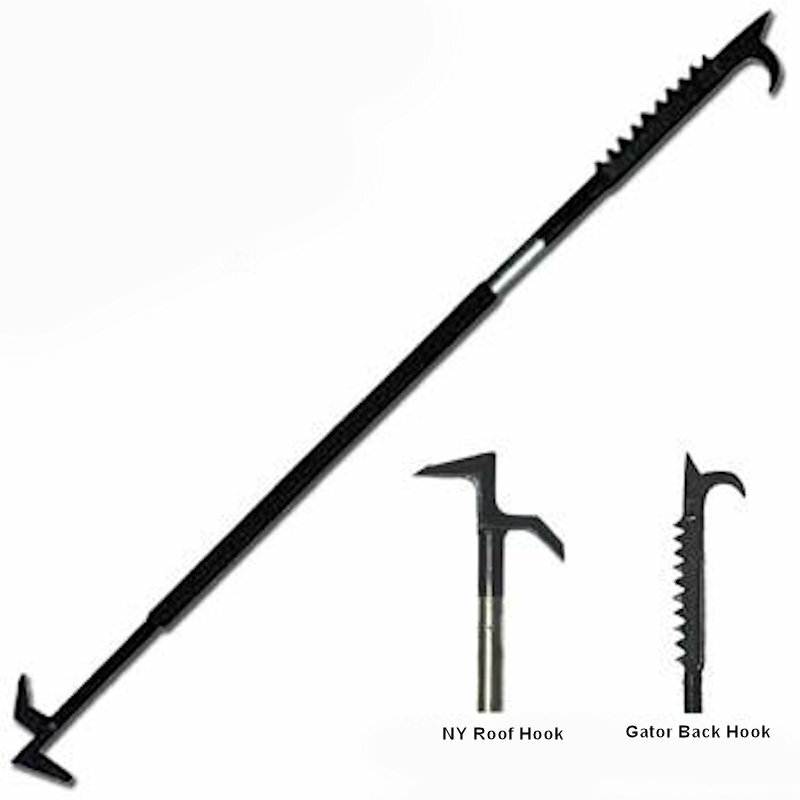 The Denver Hook features a Gator Back Head at one end and a NY Roof Hook at the other. Constructed on a versatile steel shaft. A regular tapered pike pole head. On its back, is ten sharpened cross cutting teeth that can cut on the pull stroke as well as the push stroke. 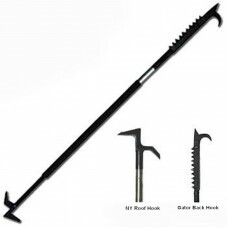 It will cut lath, plaster and sheetrock faster than any tool on the market today. Used with a "D" handle it can easily saw through ice in a pond, lake or river. The chisel end is used as a prying tool for scuttle hatches and roof doors.